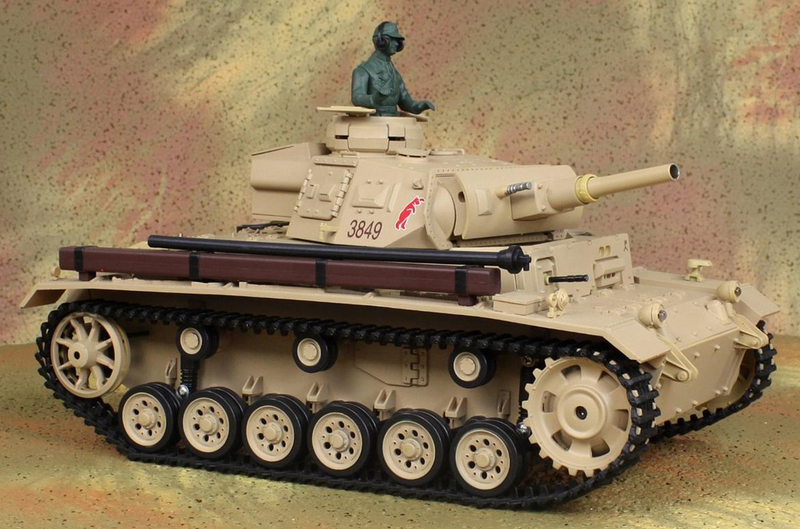 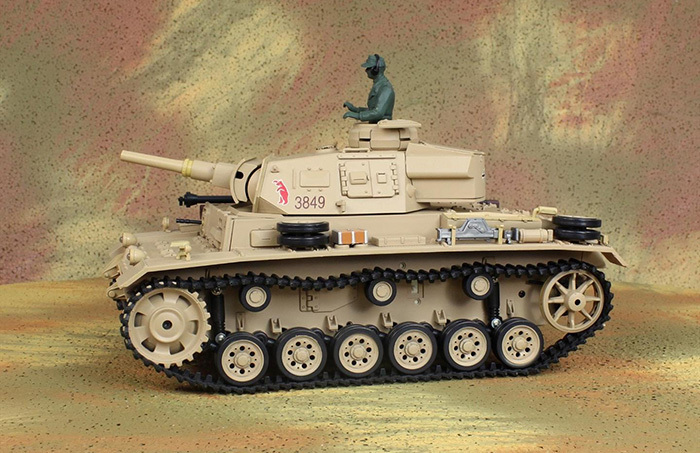 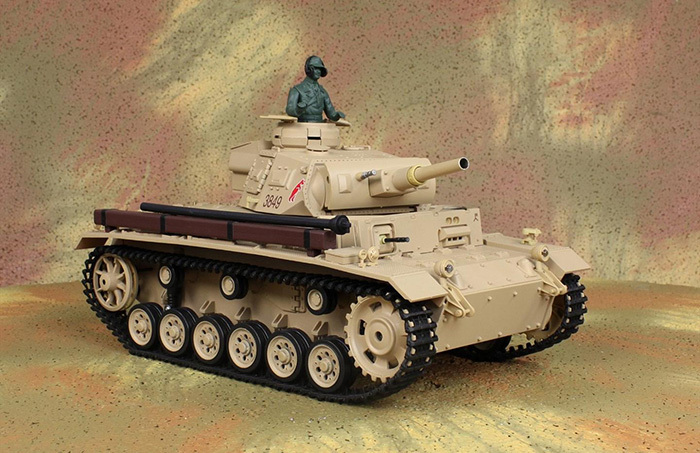 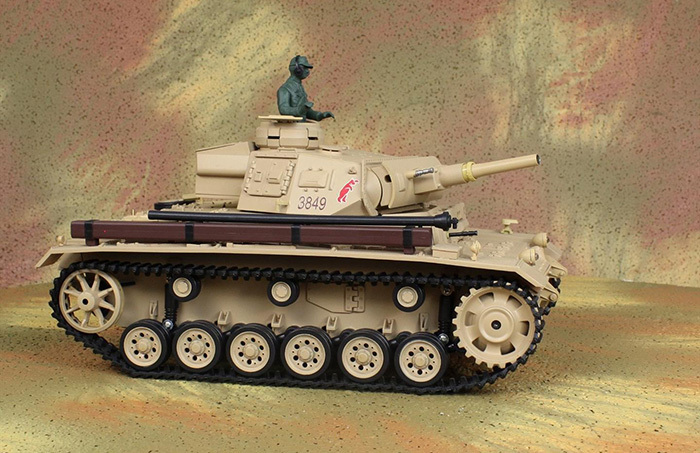 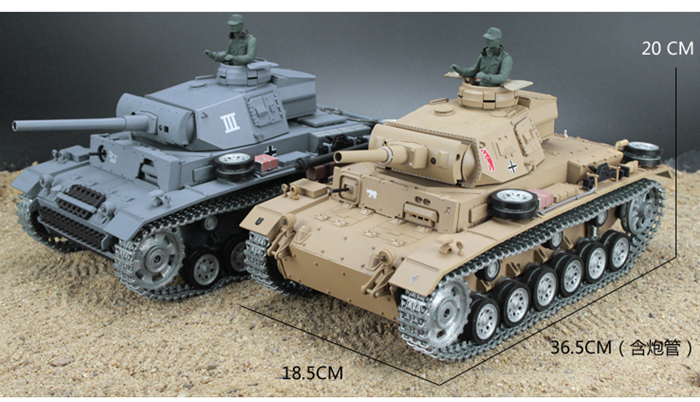 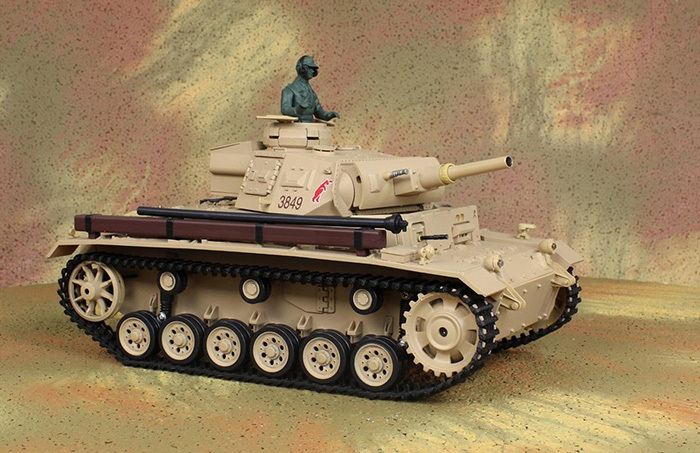 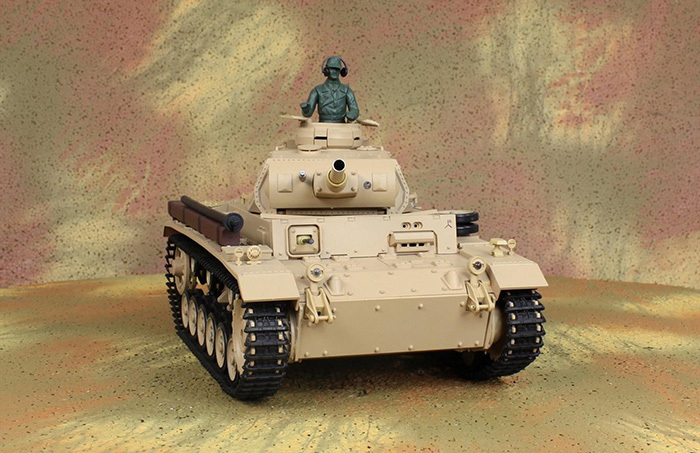 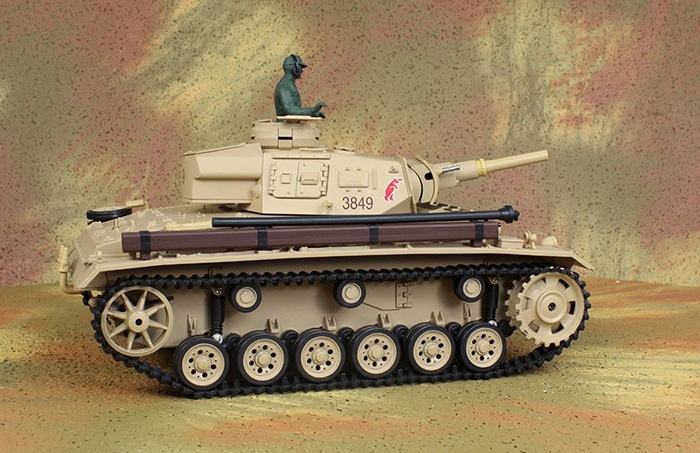 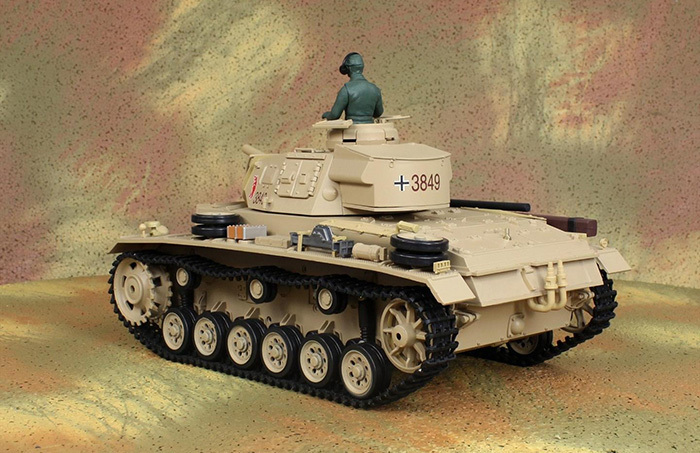 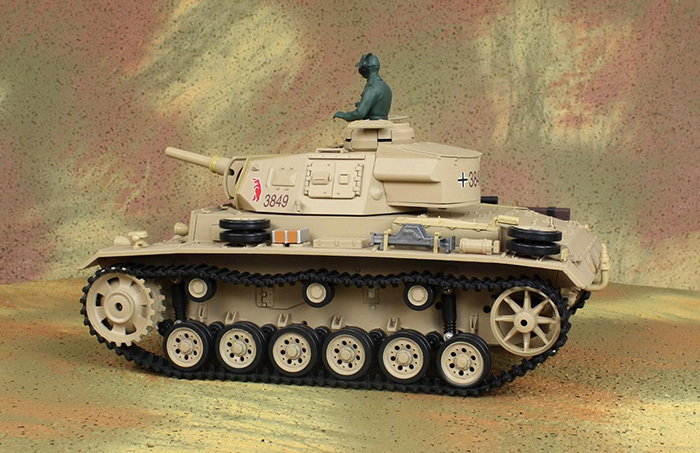 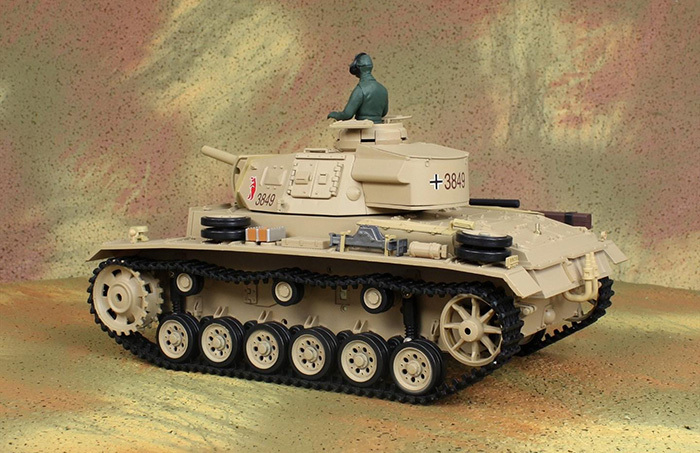 HENG-LONG RC Tank 3849 series has multi-types, the difference between them is shown below. 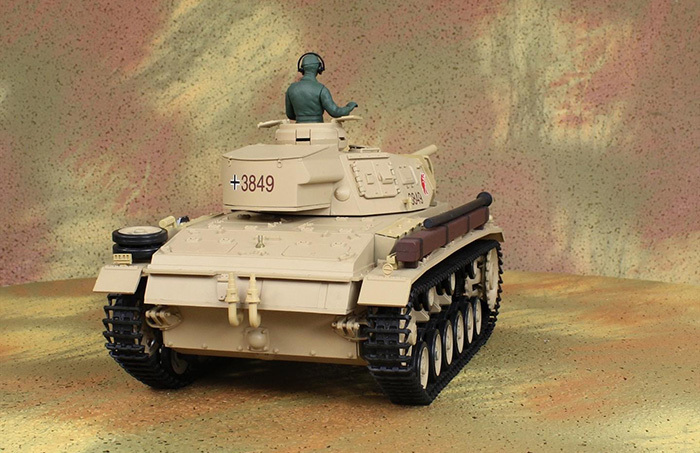 3849-1 (Discontinued): Crawler Running, BB bullet shooting, Turret rotation, Firing angle adjustment, Automatic cruise, FM Radio Control. 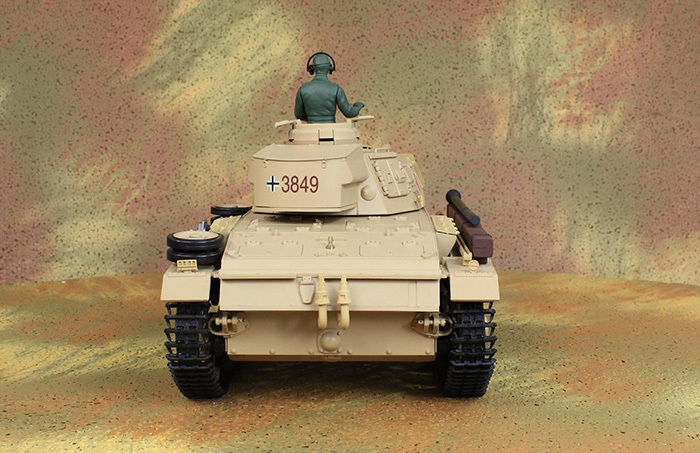 3849-2: Crawler Running, BB bullet shooting, Turret rotation, Firing angle adjustment, Sound effect emulation: Engine sound; Fire Sound, Fire recoil effect, Engine smoke effect, 2.4Ghz Radio Control, Stepless speed change. 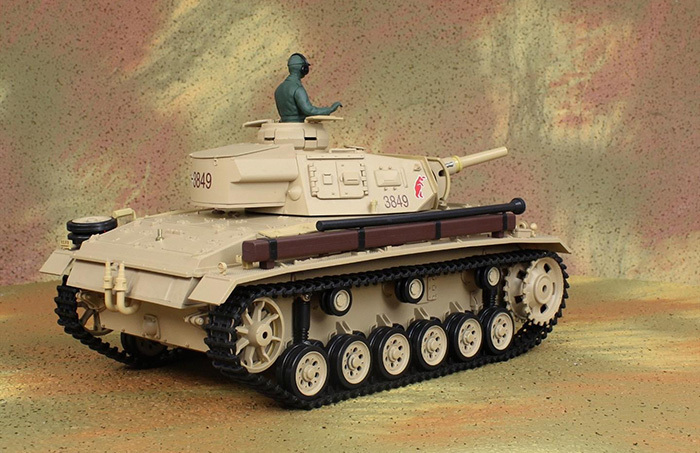 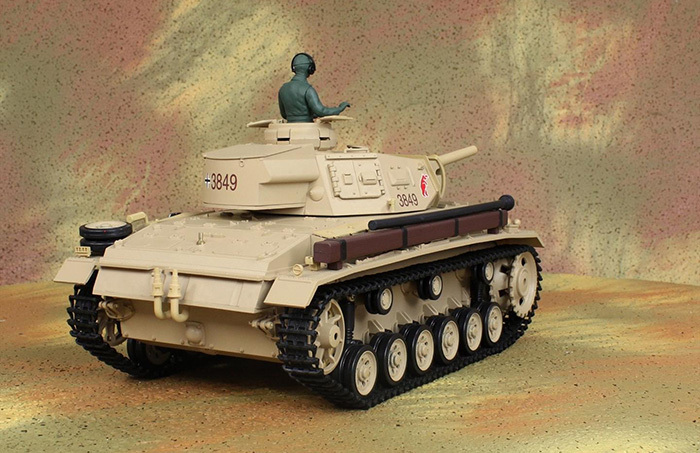 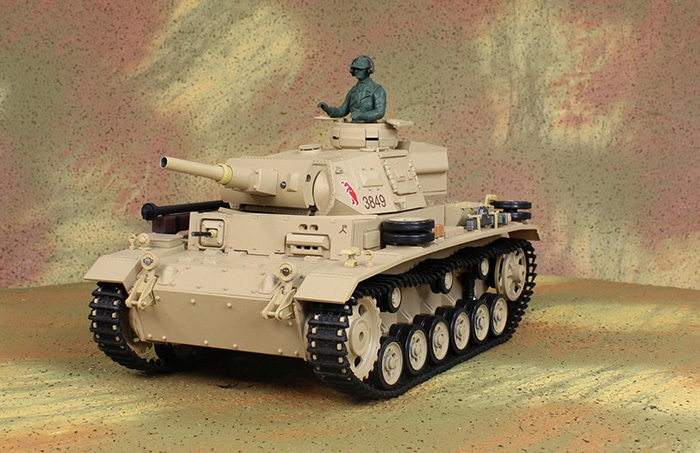 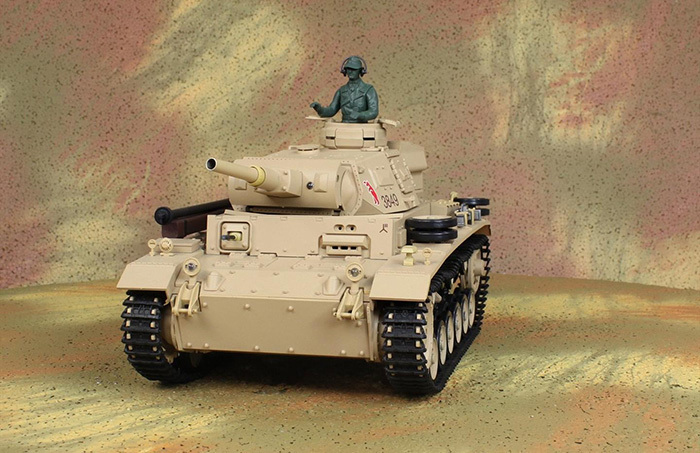 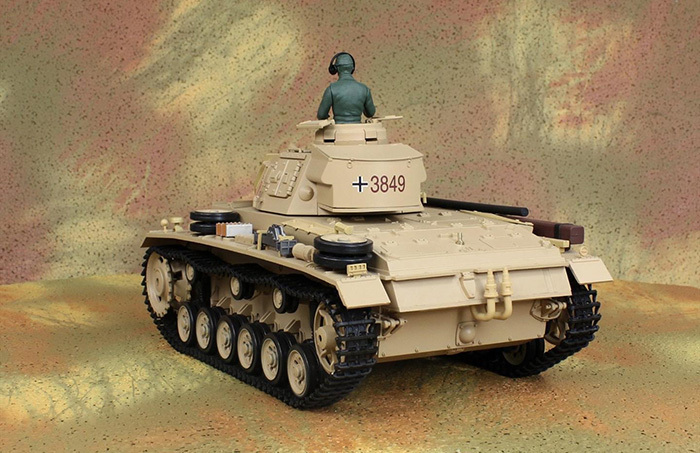 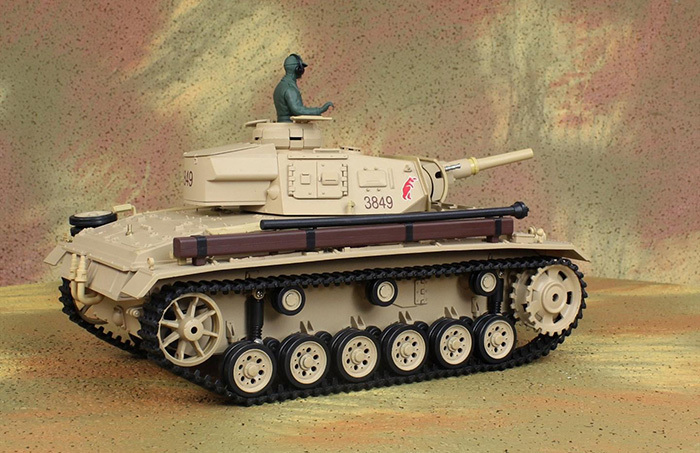 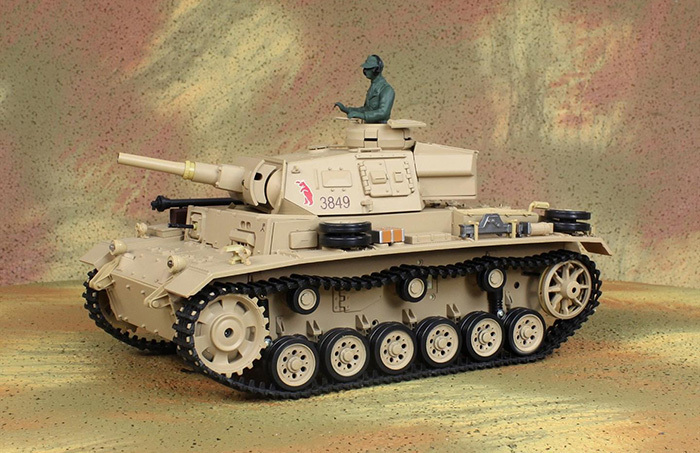 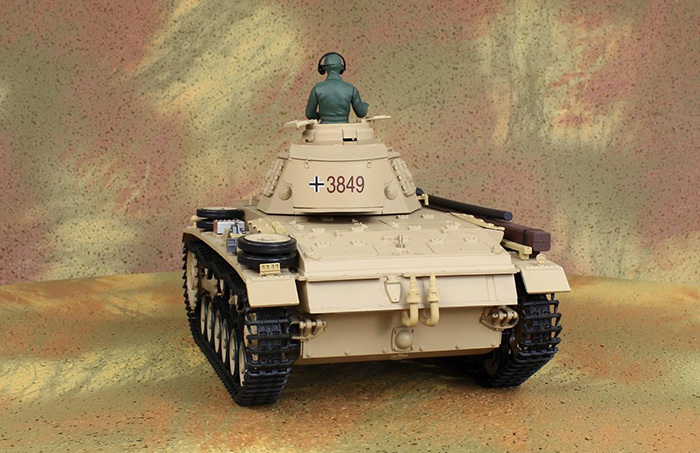 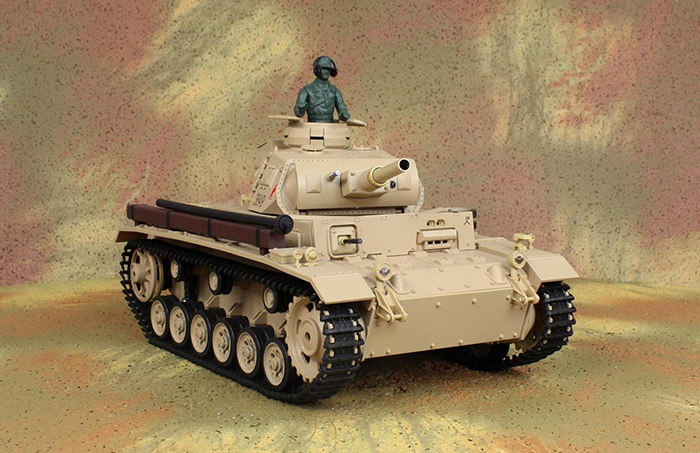 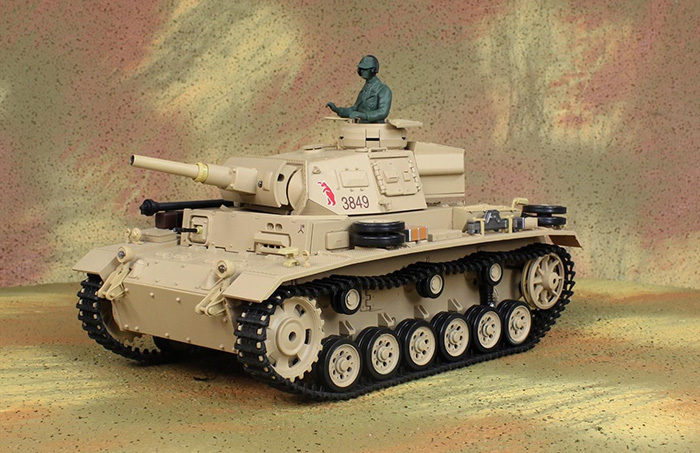 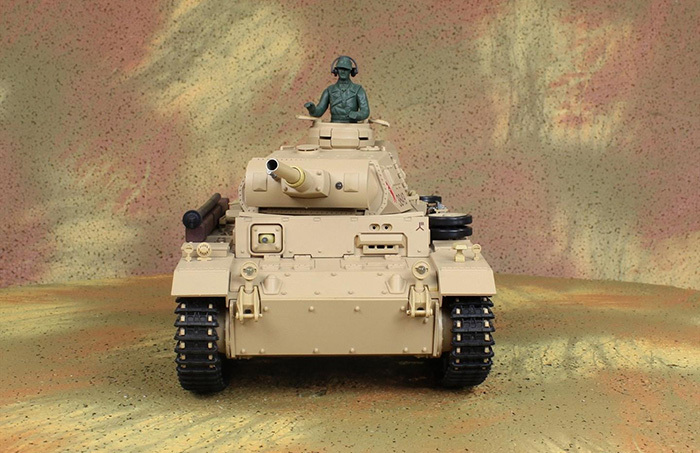 3849-3 (Discontinued): Crawler Running, BB bullet shooting, Turret rotation, Firing angle adjustment, Automatic cruise, FM Radio Control, Metal parts: Metal track; Metal gear box; Metal drive wheel. 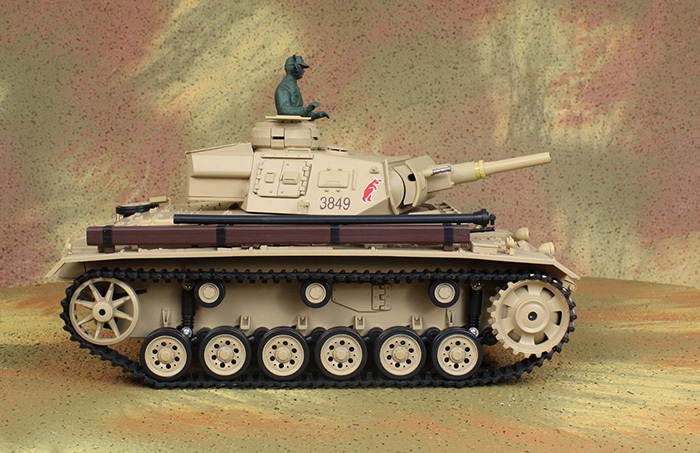 3849-4: Crawler Running, BB bullet shooting, Turret rotation, Firing angle adjustment, Sound effect emulation: Engine sound; Fire Sound, Fire recoil effect, Engine smoke effect, 2.4Ghz Radio Control, Stepless speed change, Metal parts: Metal track; Metal gear box; Metal drive wheel. 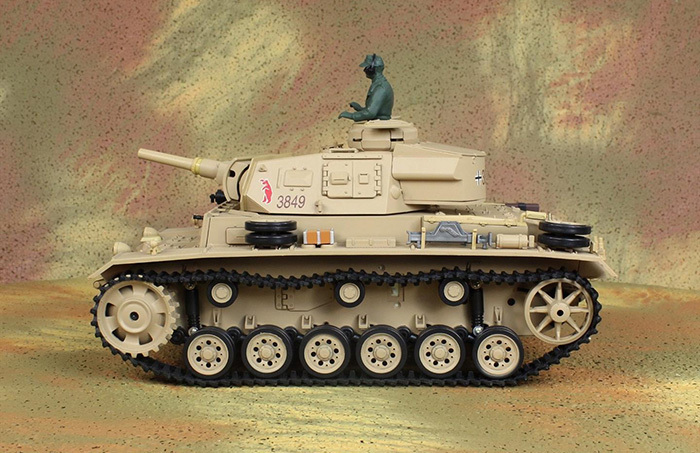 3849-Pro: Crawler Running, BB bullet shooting, Turret rotation, Firing angle adjustment, Sound effect emulation: Engine sound; Fire Sound, Fire recoil effect, Engine smoke effect, 2.4Ghz Radio Control, Stepless speed change, Metal parts: Metal track; Metal gear box; Metal drive wheel, Metal shock absorber, Metal roller, Metal road wheel.